If you love the crisp nights and foliage blaze of autumn in Australia you will be completely wowed by autumn in a cold climate. Autumn in the northern hemisphere is a dramatic burst of foliage beauty as nature puts on a grand finale show. 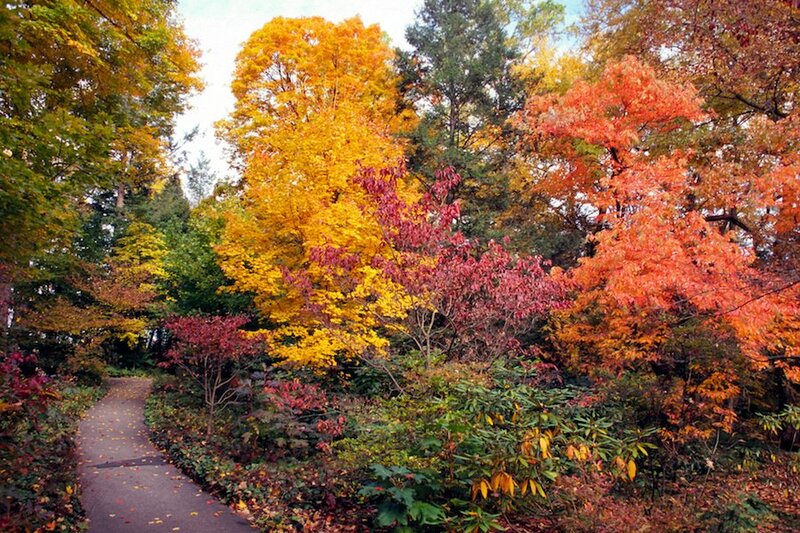 I’ve enjoyed the splendour of the mostly yellow and orange toned autumns in Europe but this October I’m leading a Travelrite International garden tour and cruise to take in the fall colour in North America and Canada. The colours there are even more dramatic with lots of striking red hues as only four native European tree species have red leaf colouring. Leaves change colour during autumn because the chlorophyll breaks down, the green colour fades and yellow or orange carotenoid pigments, which were always in the leaf, become visible. Leaves turn red when a chemical change occurs which forms additional colours through the development of red anthocyanin pigments. Canadian and American trees include many forms of maple, black tupelo, sour wood, sassafras and liquidambar (sweet gum) which have intense colours, with leaves changing from green, to yellow to orange, and finally to red. So spectacular is the fall colour in Canada and North America that locals and travellers take trips to track the changing foliage colour and are quaintly known as ‘leaf peepers’. I’m really looking forward to joining the leaf peeper brigade and unlike most travel, where packing and unpacking is a constant chore, we’ll have the luxury of spending ten nights on board the MS Rotterdam, the most lavish ship in the Holland America fleet. Our transport mode means minimal unpacking and days spent taking in the sites and beautiful gardens as we sail in the evenings. Our cruise finishes in bustling New York, where we have four days taking in the landmarks and visit Innisfree Garden, listed by some as one of the top ten gardens in the world! The garden was designed by landscape architect Lester Collins and merges Asian and modernist design philosophies. 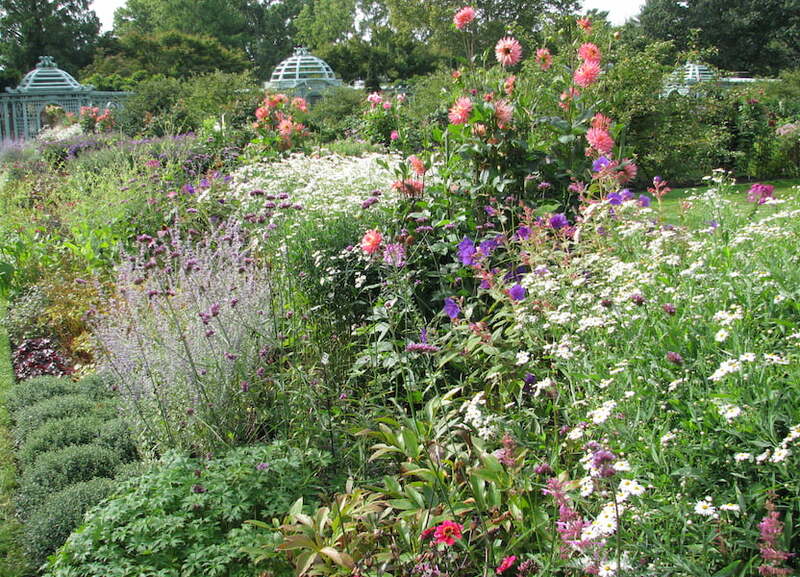 We also visit Highline Park and travel to Long Island to visit Old Westbury Gardens set on 200acres which include formal gardens and lakes set around a historic mansion. At the end of the tour there is an extension that spends four days in Philadelphia where we travel to visit to Longwood Garden, which most garden writers say is the best garden in North America. It is one of the most spectacular displays I’ve seen with 20 outdoor gardens and 20 indoor gardens in heated conservatories. We’ll be there for the Chrysanthemum Festival with 20,000 blooms on show. 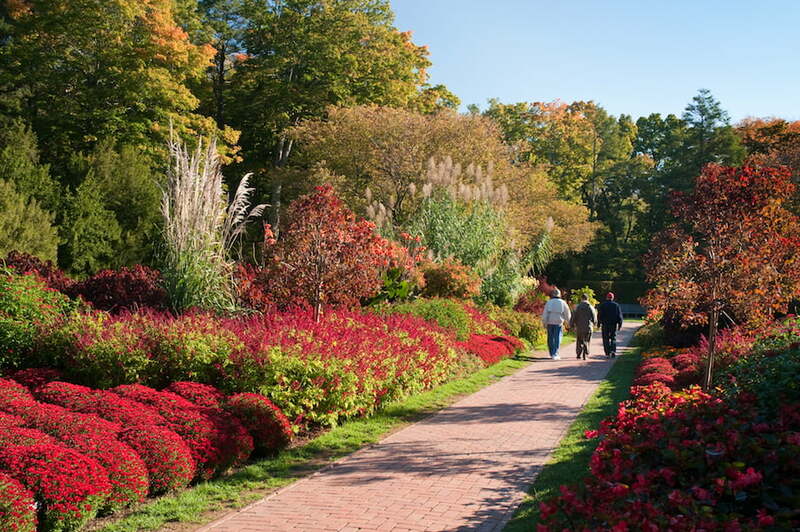 The gardens have an annual budget of $50 million (US) – so expect to be wowed! We have guided tours at all our stops so we get the flavour of the cities with visits to the important landmarks as even garden tragics need more to a holiday than just gardens! A diverse range of gardens on the tour include parks and woodland, a farm, private traditional gardens, Victorian-style gardens, national parks, modern gardens with integrated outdoor rooms, botanic gardens and Asian inspired designs. 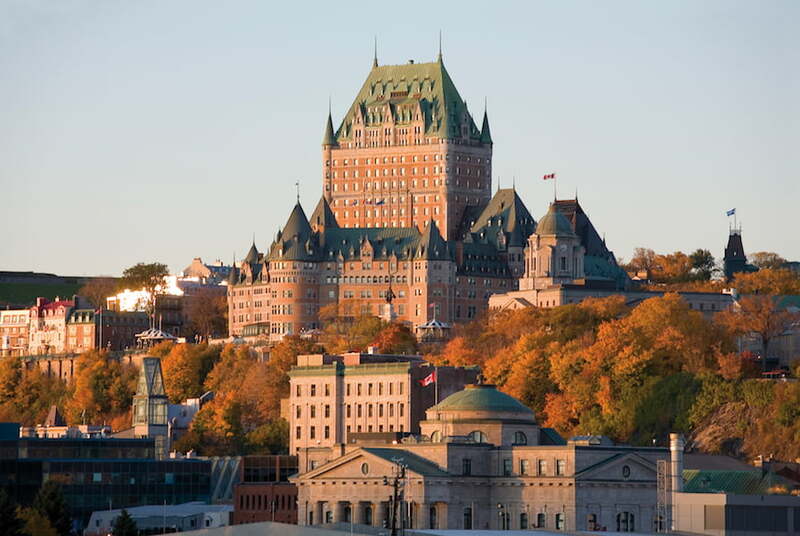 Our first stop after sailing is the French-style city of Quebec. We also leave the ship to spend a day in the cities of Charlottetown, which is the gracious capital of Prince Edward Island, Sydney in Cape Breton and Halifax in Nova Scotia. In America we visit Bar Harbour in Maine, the beautiful city of Boston in Massachusetts and swanky New Port in Rhode Island before disembarking for four exciting days in New York. We’ll undertake all the activities as a private group and since we will be mostly Australians, all with a love of gardens and travel, we always seem to have lots in common. One of my favourite parts of the tour is dinner, and I’ll be searching out some great places to eat when we’re not on the cruise. I’ve worked as a tour guide for 30 years and know that it is the blend of beautiful gardens, exotic locations, delicious foods and local cultures that make the trip so satisfying. The well- thought out itinerary is also essential and our tour mostly has four day stop overs, because packing up and moving every couple of days, or even every day on some tours, is tiring and tends to take the gloss off the trip. Free time is also essential as while most love the new friends a tour brings, others like spending time by themselves. Lastly the tour leader makes a big difference. I try to make people feel that they are travelling as part of a family so they have support if they need it but the freedom to explore for themselves if they prefer. 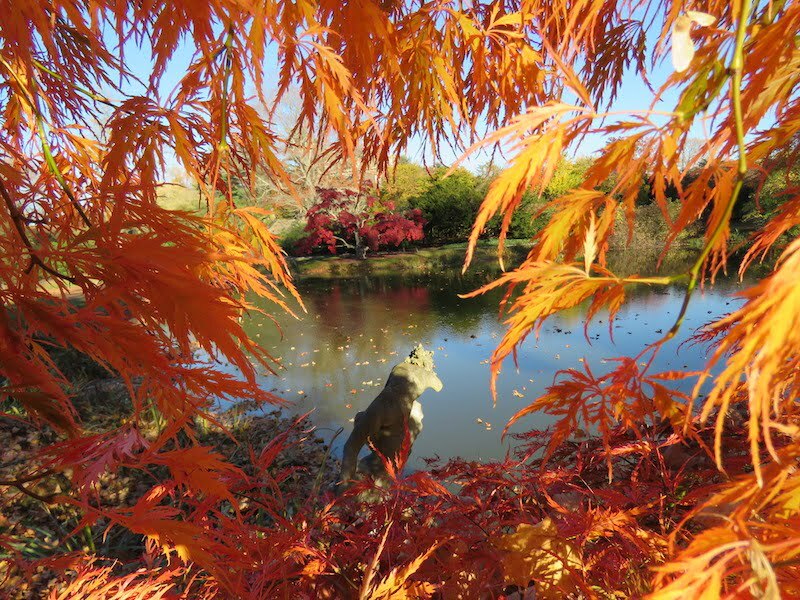 So if you fancy a relaxing holiday full of gardens, read the brochure and consider becoming a leaf peeper! One of our best holidays we’ve had was ‘leaf peeping’ the fall foliage in New England USA. I’d seen the photos but it’s no substitute for seeing those vivid reds in real life. Looks like a great tour. Oh to see Longwood!